There are as many variations of Ragù Bolognese as there are people in Bologna – and everyone claims theirs is the most authentic. I make no such claims. 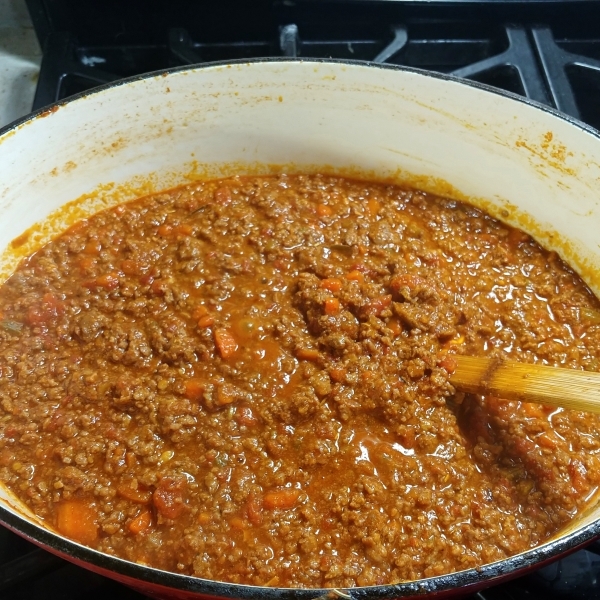 Mine has garlic and rosemary, two things you’ll never find in a “real” Bolognese (you can leave them out to mimic the real thing but you’ll be missing out on some real flavor). 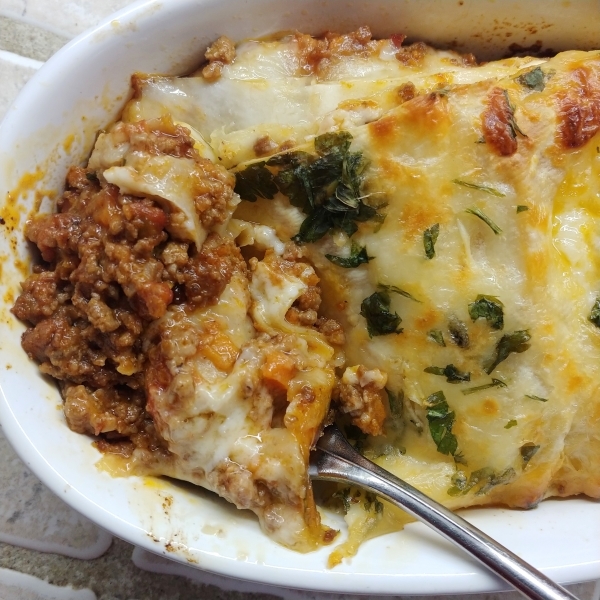 Mine, however, IS the one that I like the best, and the one that I make every time I go all out with homemade pasta – either tagliatelle, tossed with Parmesan, or my personal favorite: super thin lasagna, layered with béchamel. 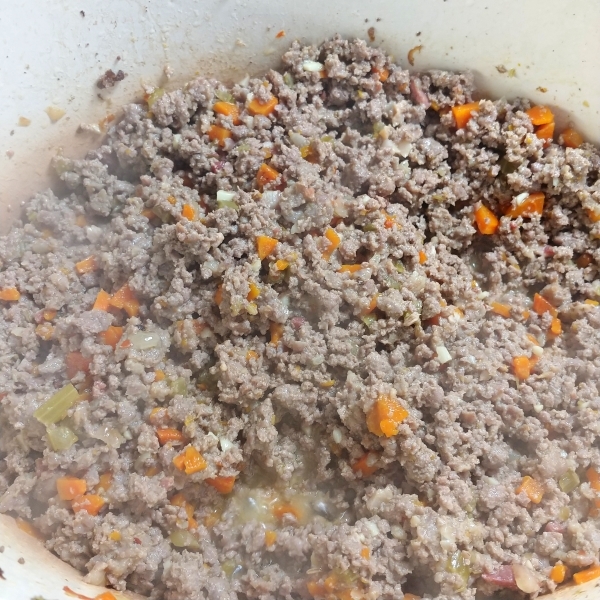 Bolognese sauce is a meat sauce – it is primarily meat, with some bits of veggies. 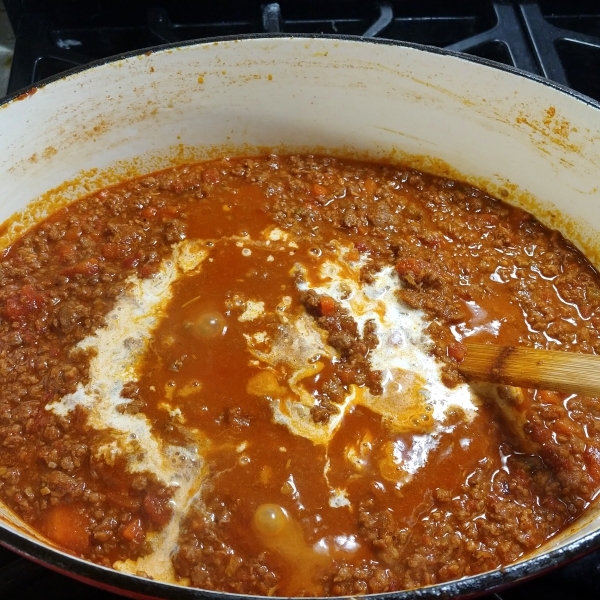 It cooks for a long, long time; the meat tenderizing by turns in milk and wine before being robed in barely-there tomato sauce and a hint of cream. It’s an all-day project, perfect for a weekend, and perfect also for freezing. 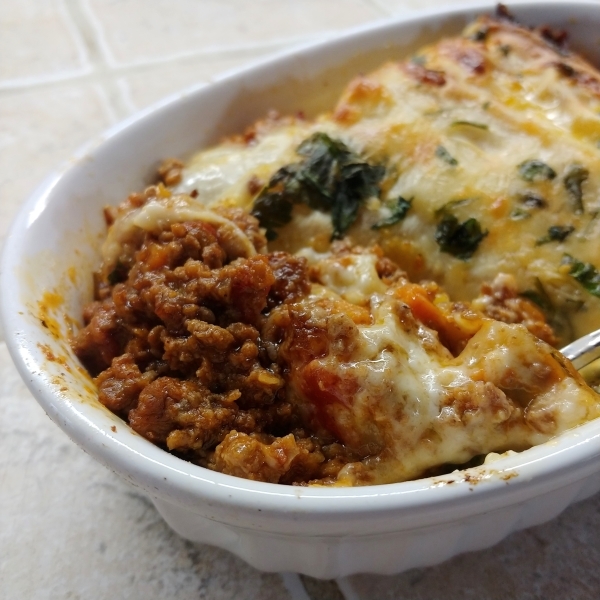 This recipe makes 3 quarts, each quart enough either for a pan of lasagna or a pasta dinner for 4-6. *So, in reality, I only had about ¼” slice of pancetta, which was a little less than ¼ lb, because pancetta is expensive and I am not made of dollar bills. If you also are not made of dollar bills, feel free to skimp out a bit on the pancetta, it will not be the end of the world. Begin by hauling out your largest pot—a Dutch oven or something similar would be ideal. Mince the pancetta and add it to your pot, then turn the pot to medium-high. Turn on the fan over your oven and get to chopping. Chop the celery, onion, and carrots. Your hand and arm will feel deadish at the end of this. You could probably use a food processor if you want, but if you do you should probably do one veggie at a time so you don’t over process them and turn them to mush. You want them chopped pretty small, but not minced—about the size of a pencil eraser. Half a tic tac. A chocolate chip. You get the idea. 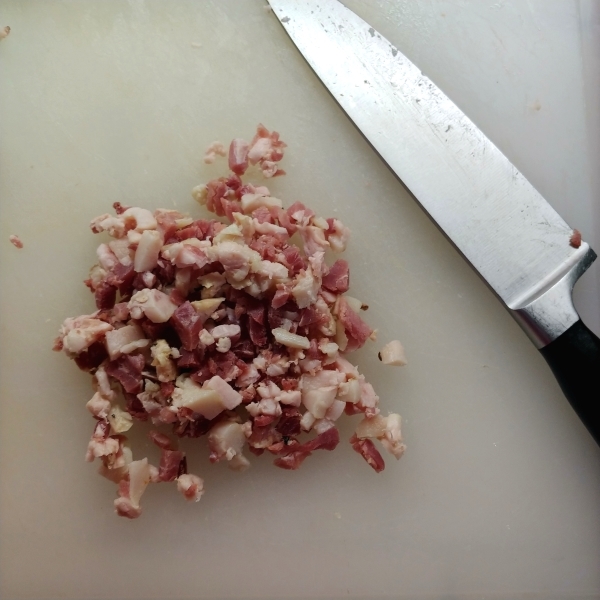 As you’re chopping, stir your pancetta from time to time. It will begin to render (release the fat and start to brown). When the meaty bits are starting to brown up and there’s not much fat left to release, remove the bits with a slotted spoon and set them aside. Turn the pan down to low if you’re not done chopping. If you are done chopping (CONGRATULATIONS!!! GOOD JOB!! ), turn the heat back to medium-high and add the veggies to the pot. Stir them, and let them cook until they’re translucent, stirring occasionally. 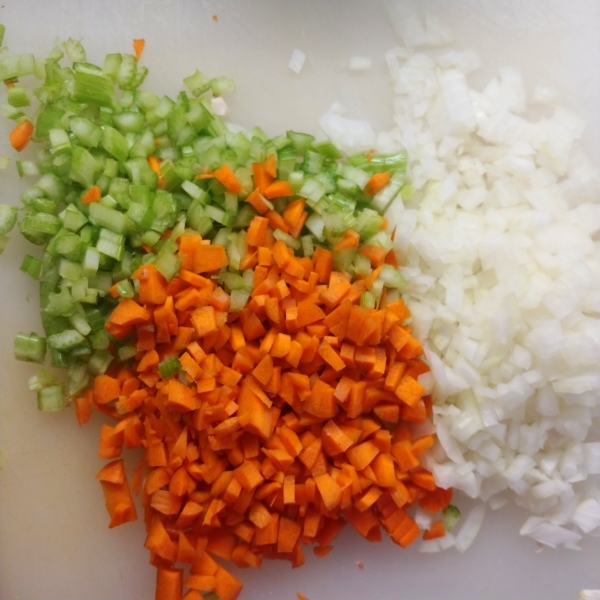 While the soffritto cooks (that’s the Italian version of mirepoix, you’re welcome for the bonus vocab), chop your 4 cloves of garlic finely or mush them through a garlic press. Find a large heatproof bowl to put the veggies in once they’re done. You can also remove the sausage from its casing if you got the kind that comes encased. It is kind of gross doing this, but also kind of cool. 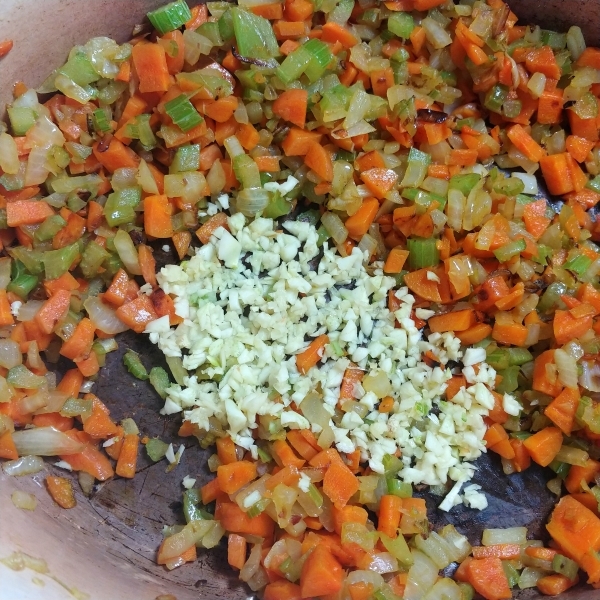 Once the carrots are tender and the celery and onions are vaguely translucent, salt the pot, then make a small gap in the center of the pot and add the garlic. Cook it for about 30 seconds, or until fragrant, then stir it into the pot and cook about 30 seconds more. Remove the veggies to the bowl. Add the sausage to your pot and break it up with a wooden spoon. Brown it, then remove it with a slotted spoon, keeping the fat in the pan, and add the browned sausage to the bowl with the cooked vegetables. 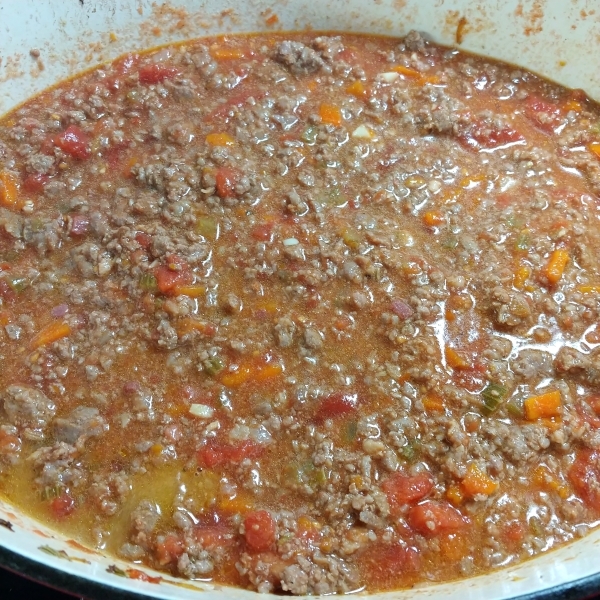 Add the ground beef to the pot, half at a time if necessary, and cook until the meat is no longer pink. It will not be thoroughly browned, it will look kind of anemically brown, but that is OK. 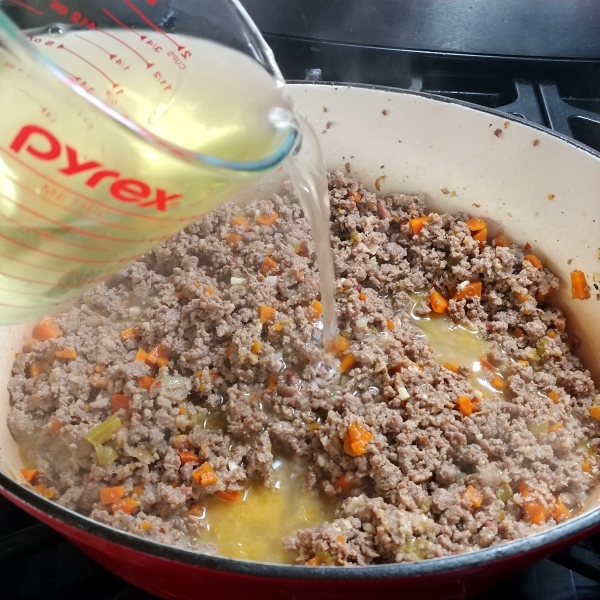 When you’re done cooking all of the beef, you can drain the pot off (you don’t need the fat anymore at this point), and add everything you’ve cooked back to the pot. Add salt, give it a stir. Add 2 C white wine. You’re supposed to use a wine you would drink—this is key. If you drink $4 bottles, a $4 bottle is fine. If you think $4 bottles taste like battery acid, you’ll probably think they taste the same in your finished sauce. So if the wine is something you can stomach on its own, go ahead and put it in the pot. Again, let it come to a simmer, then turn it down and simmer until it’s gone. 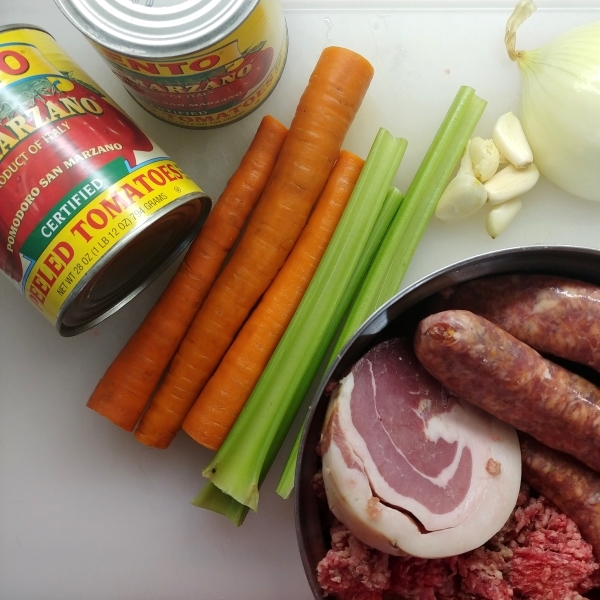 Open the two cans of tomatoes and cut the tomatoes up in the can with scissors (generally you can’t get San Marzanos except whole, and San Marzanos are the ONLY ONES YOU ARE SUPPOSED TO USE OMG, although you can probably use other kinds they just won’t be quite as good). Add the tomatoes and stir. Add the nutmeg, rosemary, and bay leaves, and turn the heat up. Let it come to a simmer, then turn the heat down to low and simmer for at least 3 hours or up to 4, checking every 30 minutes and stirring. If the sauce starts to dry out (it will), add 1 C water, stir, and keep cooking. At the end, no water should be left, and your sauce should be nice and thick. Stir in 1/4 C cream. Adjust seasoning. This is the point I generally let it cool, then ladle it into freezing containers. It will be orangeish from the cream but when you heat it up it will turn brownish red like it’s supposed to, I promise. I almost never make a meal with the sauce the same day I make it, it’s just SO much work. You CAN serve it now— just toss it with pasta. I’ve been known to eat it slathered on garlic bread. 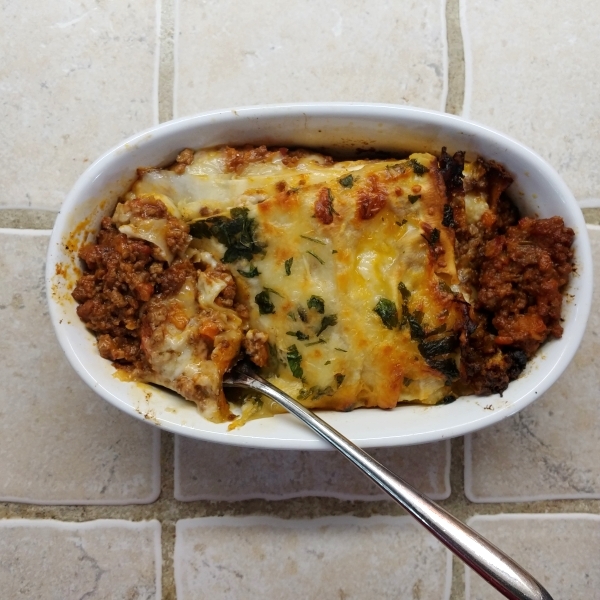 But once you’ve made lasagna with homemade pasta, béchamel, and bolognese, all other lasagnas will be ruined for you. It’s peak gluttony. Comfort food at its finest. The most amazing thing you will ever put into your mouth. Trust me on this. I’m not going to make this longer with a lasagna recipe, you can find pasta and béchamel methods galore everywhere, but I will tell you I use 2 large eggs and 1 1/4 cup flour for my pasta dough, and 2 C cream, 1 C milk, 5 T butter, and 4 T flour for the béchamel. Sprinkle parmesan on each layer and parsley on top, then just heat it through and get the cheese bubbly on top. It’s a weekend project. 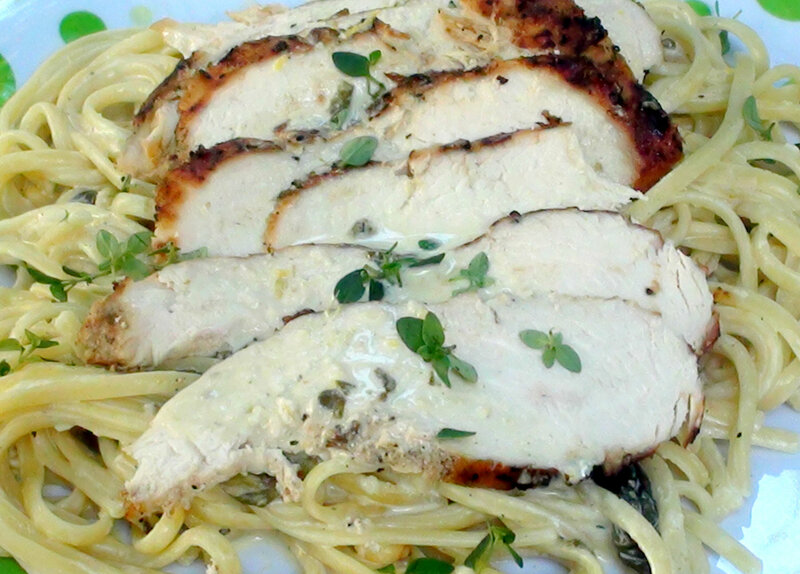 A dinner to serve when you’re hosting Beyoncé, or the Pope. But trust me, they will be SO IMPRESSED. They will probably want to hire you to cook for them and be their new best friend. So you might want this in your arsenal, just in case. What do you want to know! That I love your site? Yes I do!